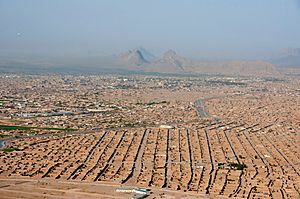 Kandahar is the second largest city of Afghanistan, with a population of 316,000 people (2002 official estimates). It is the capital of Kandahar province on the Arghandab River. It is linked by highways with Herat to the west, Ghazni and Kabul to the east, Tarin Kowt to the north, and Quetta in Pakistan to the south. 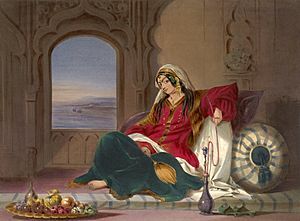 Kandahar is a major trading center for sheep, wool, cotton, silk, felt, food grains, fresh and dried fruit, and tobacco. The region produces fine fruits, especially pomegranates and grapes, and the city has plants for canning, drying, and packing fruit. Kandahar has an international airport and extensive road links. 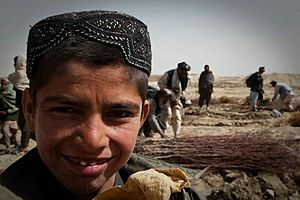 Together with Peshawar in Pakistan, Kandahar is the main city of ethnic Pashtuns. Alexander the Great founded Kandahar in the 4th century BC. Many empires long fought over the city, due to its strategical location along the trade routes of Central Asia. In 1748, Ahmad Shah Durrani, the founder of the Afghan Empire, made Kandahar the capital of modern Afghanistan. "Kandahar" is a localized transliteration of Alexandria, which was commonly given to new cities Alexander the Great founded or renamed during his conquests. A temple to the Alexander as well as an inscription in Greek and Aramaic by the emperor Ashoka, who lived a few decades later, have been discovered in the old citadel. Before Alexander's invasion in 330 BC, Kandahar was a city that belonged to Arachosia. According to the Pashto language of the region, the name "Kandahar" translates to "Sweet-city". Kandahar is one of the oldest cities that the world has known. Early peasant farming villages came into existence in ancient Afghanistan 7,000 years ago.The Morasi Ghundai, the first prehistoric site to be excavated in Afghanistan, lies 17 miles southwest of Kandahar. 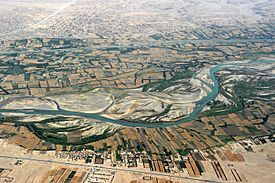 The present city of Kandahar was founded in 330 BC by Alexander the Great, near the site of the ancient city of Mundigak (established around 3000 BC). It was also known as Alexandropolis, after its founder, Alexander. The city has been a frequent target for conquest because of its strategic location in Central Asia, controlling the main trade route linking the Indian subcontinent with the Middle East and the Persian Gulf. It was part of the Achaemenid Empire and the Mauryan Empire. Kandahar was dominated early by various tribes, but the Pashtuns would remain the most prominent group during most of its history. In 674 AD, the Muslim armies reached western Afghanistan, conquering Kandahar by 750 AD. However, between then and 809 AD, the Abbasidsattempted to conquer Kandahar on several occasions but were defeated by the local Afghans. During the 9th century, after loya jirgas (peaceful meetings) were held , the locals decided to make Islam their official religion, but retaining their language and culture. Kandahar was invaded by the Ghaznavids in the 10th century and Genghis Khan in the 12th century, followed by Timur Lang in 1383. 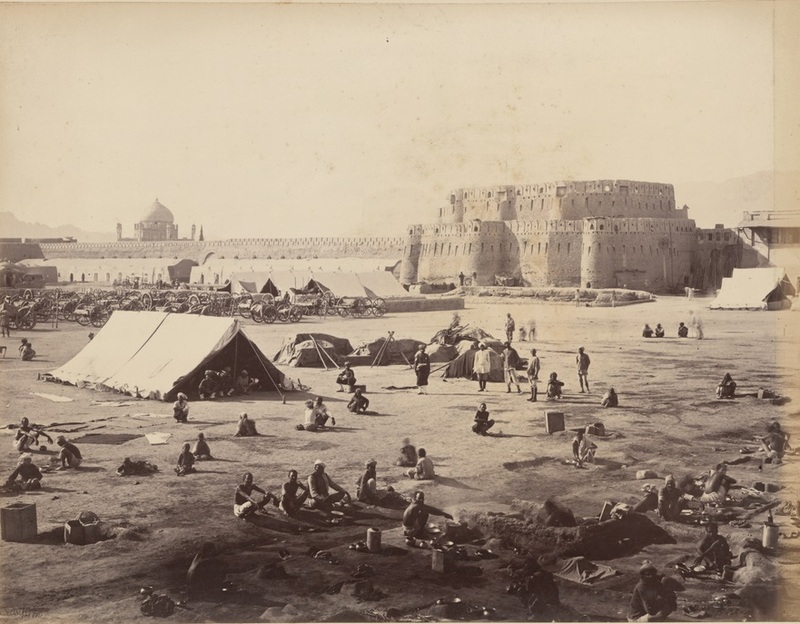 British-India occupied the city during the First Anglo-Afghan War (1839-42) and during the Second Anglo-Afghan War (1878-80) in which the British were forced to withdraw, despite winning a victory near the city (see Battle of Kandahar). 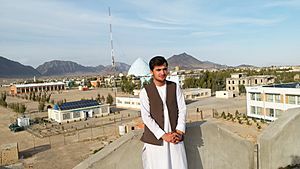 Kandahar again became part of the modern state of Afghanistan nonetheless and remained peaceful for the next 100 years. In the 1960s, Kandahar International Airport was built 10 miles (16 kilometers) south-east of the city. It was used by the Red Army during their ten years occupation of the country. 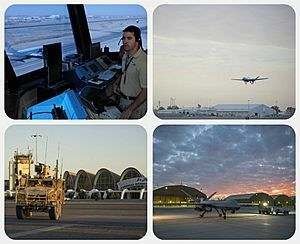 As of 2001, the airport is used by the US and NATO forces as a military base. During the Soviet occupation of Afghanistan (1979-1989), Kandahar was under Soviet command and witnessed heavy fighting. Soviet troops surrounded the city, and subjected it to a savage artillery and air bombardment in which great number of innocent civilians lost their lives. After the Soviet withdrawal, Kandahar slowly fell into the hands of a local Pashtun millitia leader (Gul Agha Sherzai). In August 1994, the Taliban captured the city and set out to conquer the rest of the country. 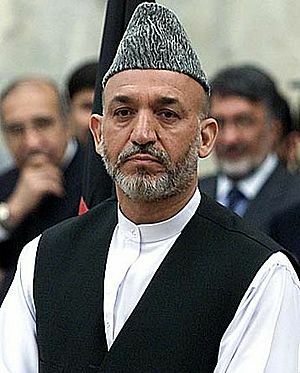 Since their removal in late 2001, smaller bands have spread throughout the nearby provinces, and Kandahar again came under the control of Gul Agha Sherzai, who had controlled the province and city before the rise of the Taliban, and was credited with permitting the same corruption that first fueled the growth of the Taliban. The new Afghan government, which is supported by US and NATO forces, is gradually expanding its authority and presence throughout the entire country. Kandahar is presently in full control of the new Afghan government, which is led by US-backed President Hamid Karzai. The Canadian Armed Forces (CAF) maintains its military command headquarters in Kandahar, as well as being the main NATO-led security force in the region. Due to almost 30 years of destruction and no development, Kandahar along with the rest of the country is going through a nationwide reconstruction period. As of 2002, large amounts of money has been pouring in for construction purposes. New modern-style buildings are slowly replacing the older ones. Kandahar's major highways were repaired and completed. However, works on smaller roads in some parts around the city are still in progress. Kandahar's residents have access to clean drinking water and electricity. Although not every part of the city may receive it, plans and works are underway to extend these services to every home. Up to 20,000 single-family homes and associated infrastructure such as roads, water and sewer systems, and community buildings, including schools, are under construction on a new empty land in Kandahar. About 6 miles (10km) east of Kandahar, a huge industrial park is under construction with modern facilities. The park will have professional management for the daily maintenance of public roads, internal streets, common areas, parking areas, 24 hours perimeter security, access control for vehicles and persons. A railroad track from the Pakistani town of Chaman to Kandahar is planned for the near future. The feasibility study was completed in or about early 2006, allowing for the next step to lay-down the railtrack. The work on the railtrack will take approximately 2 years to complete. 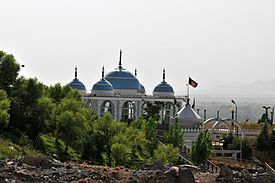 The most important historical monument in Kandahar is the mausoleum of Ahmad Shah Durrani, fondly known as Ahmad Shah Baba (Father of Afghanistan) who ruled an empire from Kandahar from 1747–1772. The shrine of the Cloak of the Prophet Mohammad adjoins Ahmad Shah Durrani’s mausoleum. This is one of the holiest shrines in Afghanistan. Ahmad Shah received the Prophet’s Cloak from Murad Beg, Amir of Bokhara, in 1768, as part of a treaty settling the northern boundaries. The charming village of Sher Surkh is located southeast of the city, about a mile south of Jadi Haji Jamal, in the suburbs of the old city of Nadirabad. Just to the north of the city, off its northeast corner at the end of the buria (matting) bazaar, there is a charming shrine dedicated to a celebrated saint who lived in Kandahar more than 300 years ago. The grave of Hazratji Baba, 23 feet long to signify his greatness, but otherwise covered solely by rock chips, is un-decorated save for tall pennants at its head. Kandahar Museum is located at the western end of the third block of buildings lining the main road east of the Id Gah gate. It has many paintings by the now famous Ghiyassuddin, painted while he was a young teacher in Kandahar. He is acknowledged among Afghanistan’s leading artists. A Monument to Pious Martyrs (Shahidan: those who died in battle) stands in the center of Kandahar’s main square called Da Shahidanu Chawk, which was built in the 1940s. Chihlzina is a rock-cut chamber high above the plain at the end of the rugged chain of mountains forming the western defence of Kandahar’s Old City. Forty steps, about, lead to the chamber which is guarded by two chained lions, defaced, and inscribed with an account of Moghul conquest. 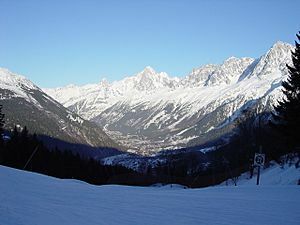 A short distance from Chilzina, going west on the main highway, a bright blue dome suddenly appears above a grove of trees on the right. This is the mausoleum of Mir Wais Khan, the Ghilzai chieftain who declared Kandahar’s independence from the Persians in 1709. The shrine of Baba Wali, its terraces shaded by pomegranate groves beside the Arghandab river, is also very popular for picnics and afternoon outings. The terrace in front of an elaborate teahouse affords a fine view of the valley. The British forces, in 1842 and 1878, fought several battles in this same exact location. The Kandahar Greek Inscription (Edicts 12 and 13) by Emperor Ashoka, from Old Kandahar, 3rd century BC. Kandahar Facts for Kids. Kiddle Encyclopedia.